Speedy delivery reduces turnaround times, makes purchasing transactions less complicated, and ensures an easy and convenient buying process. In today’s busy manufacturing world, time is money. The longer you wait for a tool to come in, the longer your lines can be town, causing a decrease inefficiency on the floor and dollars lost. It’s important to rely on suppliers who strive for quick turnaround delivery processes. 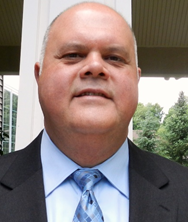 Therefore, it’s more important than ever to evaluate your vendors’ manufacturing capabilities to ensure that they’ll be up to the standards you set. 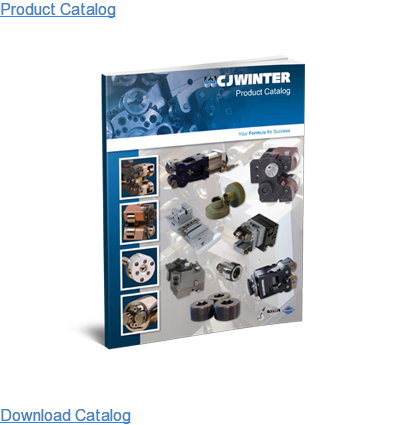 CJWinter offers a full line of thread rolls and other material-forming tools to production facilities operating on a deadline. Over the last 3 years, we were able to design, build, and ship 80% of our thread rolls in less than 24 hours! We can achieve these turnaround times because we optimized our production process by removing non-value added steps. We handle all aspects of the thread roll process internally, from initial paperwork and designing to machining, heat treatment, marking, finishing, and shipping. 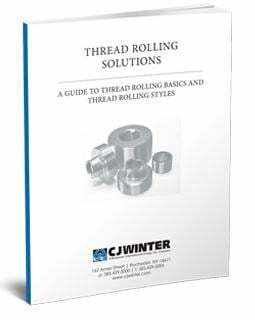 When you require flexibility and reliability for your thread rolling, CJWinter is there to help. We produce standard and special tooth forms in days instead of weeks, building cylindrical rolls of up to 8.00 inches in diameter. With more than half a century of experience in metal forming, rolling, and in-house heat treating, we extend our clients’ die life, while helping them avoid the high prices demanded by less-efficient roll suppliers. With our thread rolls, thread roll attachments, and specialty dies, we’ll have your facility running like a well-oiled machine. CJWinter is the only thread roll supplier that delivers products in less than 24 hours. In the space of one day, we can design, build, and ship products to clients across the country. 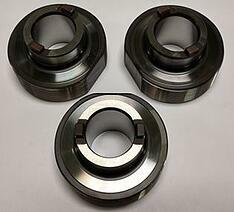 We’re also a licensed MAThread supplier, providing MAThread forms on any cylindrical rolls we produce. 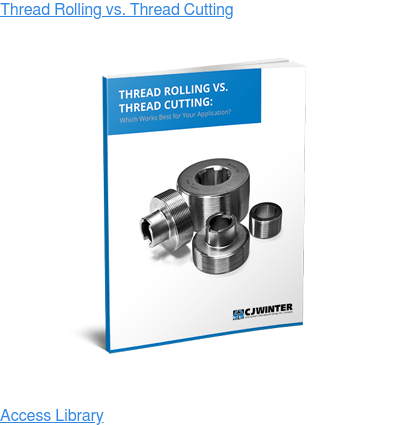 If you would like to learn more about how we can supply thread rolls almost before you need them, contact us today.